What says summer more than husking corn out on the lawn! Fresh corn on the cob is a classic and so delicious. Growing up I remember sitting out on our back deck with a blanket and the garbage pail and husking ears of corn for our family of eight. Pulling all the husks, rubbing off all the little hairs and revealing the beautiful yellow kernels was always so much fun! My family always boiled our cobs on the stove in a big pot of water. Then we’d roll the hot corn in a plate of butter, salt and pepper and eat away. Since being married my husband taught me the way he learned it in the south: grilled! We don’t own a grill (shame on us, I know) so when we are making corn on the cob we’ve got to heat up the oven. But the same technique basically applies if you have an outside grill as well. 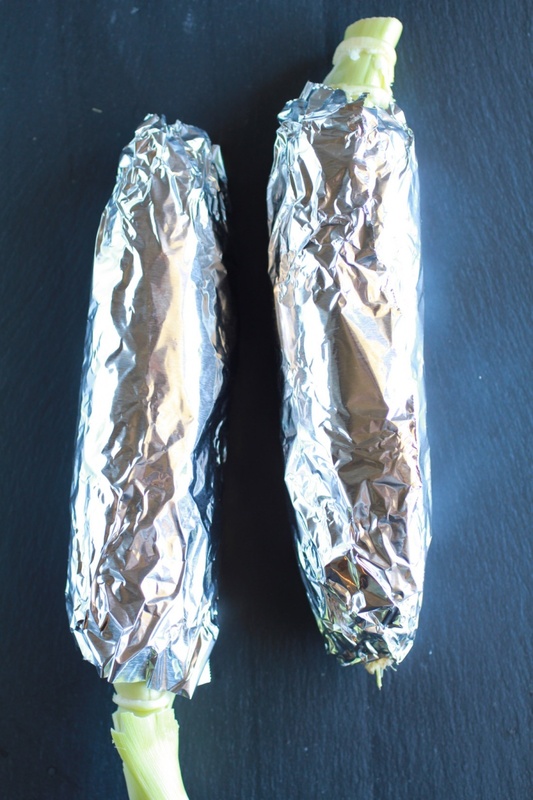 The only difference is, if you are throwing these on the bbq is to double wrap it with tin foil. Because your grill has varying temperatures and you are probably cooking other things at the same time this will allow for the corn to cook evenly and be delicious! After you’ve done the labor of husking and cleaning your cobs the fun part begins. Take each cob, roll it in butter then set it in a square piece of tinfoil and add all the salt, pepper and spices you want! Then roll it on up and pop it into a preheated oven for about a half hour at 400 degrees. When done, take it out carefully, unwrap and enjoy! I love this technique because it cooks the corn perfectly every time and it seeps all the buttery flavor in. A great way to keep them organized once they are rolled up, is to write your name on the tinfoil with a sharpie,. Let’s face it, who wants to be surprised by red pepper when they put paprika on theirs! It’s so fun to try new flavors and to spice up the variety of your grilled cobs! But really, the classic Salt & Pepper is a favorite of mine. There is not a better sound than crunching into a fresh grilled corn on the cob in summertime. 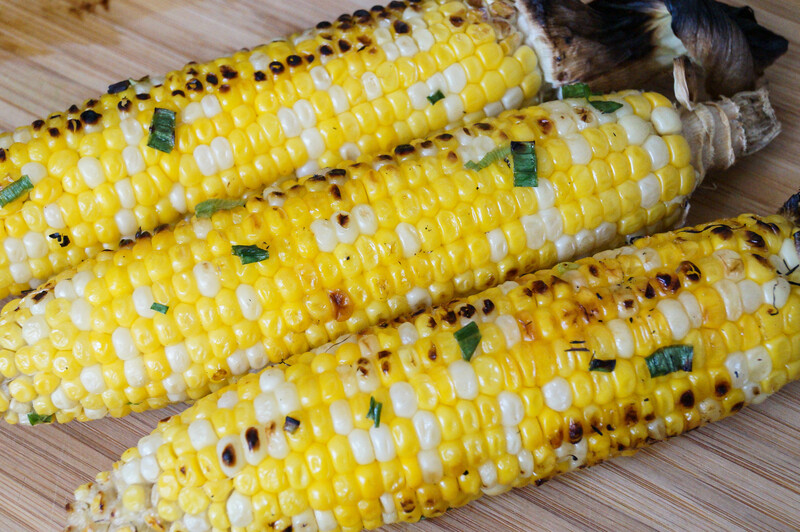 What are your favorite ways to cook corn on the cob? And do you have any secret flavor combos that you love to add onto yours? 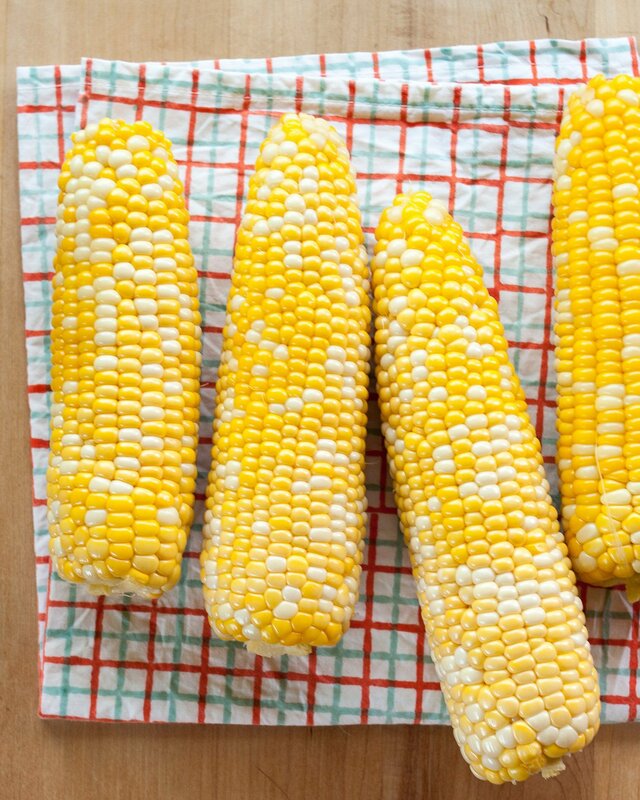 Share in the comments below so I can eat corn all summer long to try them out! Happy Husking!